A fully waterproof Cotton Analogy® windshirt, the Foinaven Smock's unique material makes it ideal for activities which combine periods of high output with spells of inaction. This makes it perfect for a wide range of outdoor activities including many fieldsports, fishing and nature watching, as well as walking and mountaineering. The Foinaven's integrated hood and hem are easily adjusted by drawcord to protect from the ravages of weather. The garment features multiple pockets for storage of maps and all sorts of bits and pieces. 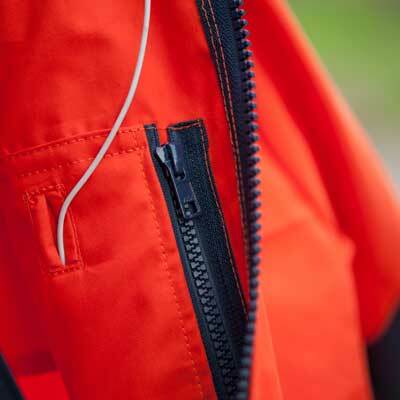 Optional side vent zippers are available for extra ventilation, and to help in removing the garment easily. Named after Foinaven (Gaelic: Foinne Bheinn) a classic mountain situated in the far north-west corner of the Scottish Highlands. Find out more in our Glossary. As an alternative garment in our Double Ventile® material, take a look at our Braemar Double Ventile® Smock. I have wanted a ventile smock from Hilltrek for at least 5 years, and finally ordered this Foinaven. It was completely worth the 5 years' anticipation. The material is amazing, and the construction is top-notch. Details are well thought out and everything about it exudes quality. I cannot wait to get some time in the field with it, and will follow up with a performance review once the weather cools. Dealing with Hilltrek was a pleasure from start to finish!